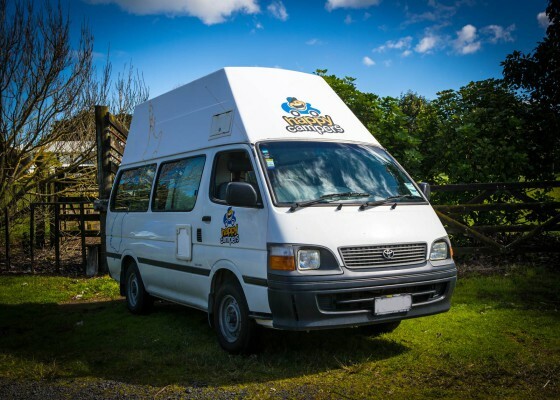 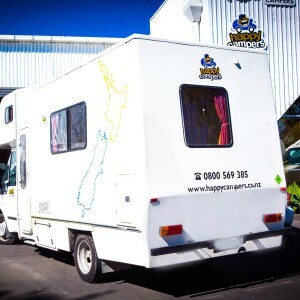 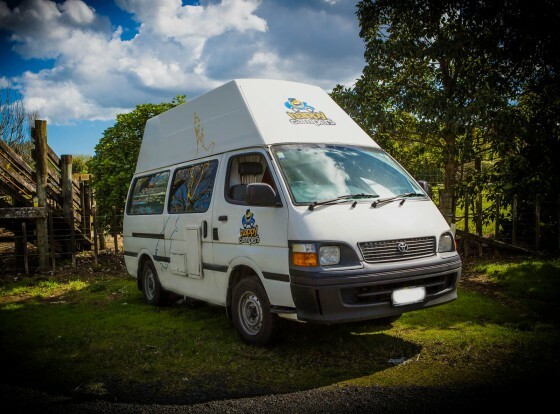 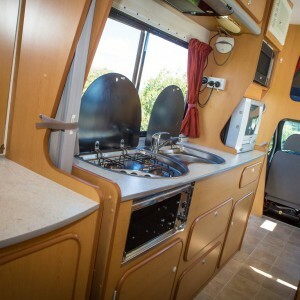 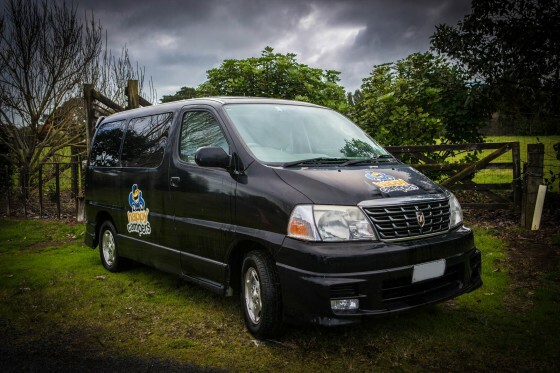 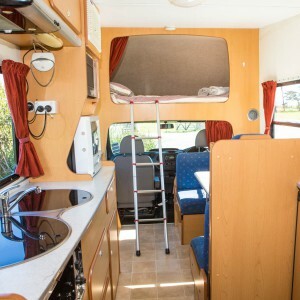 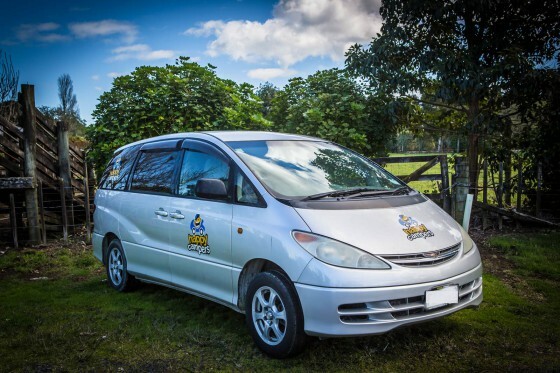 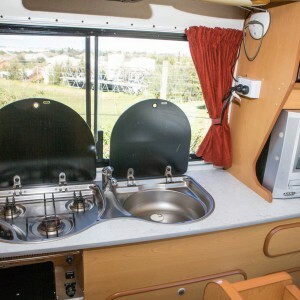 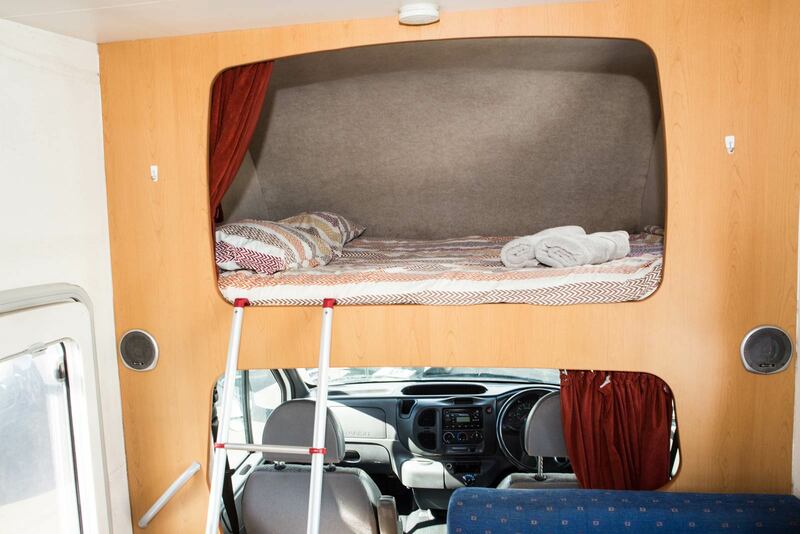 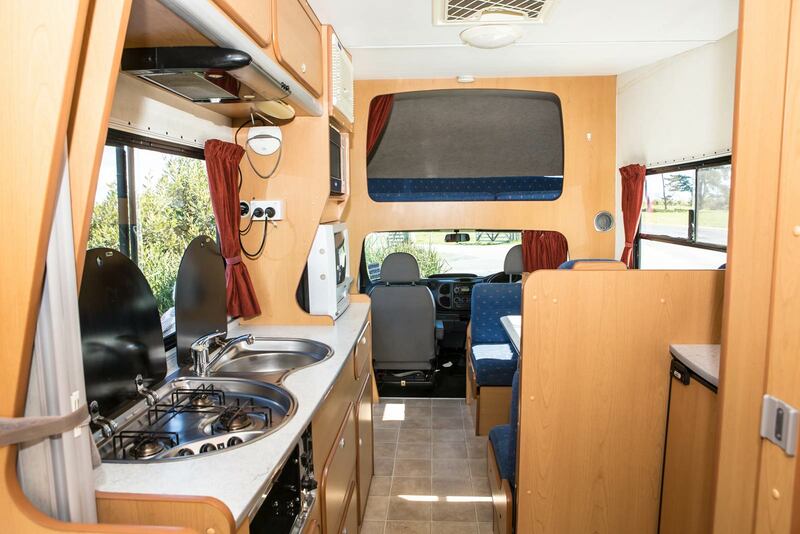 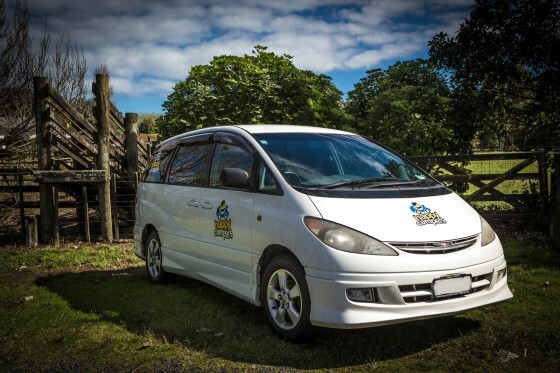 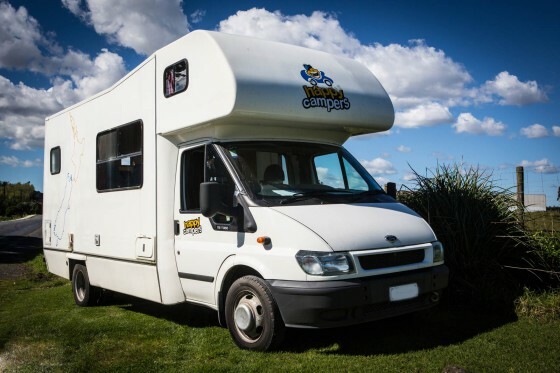 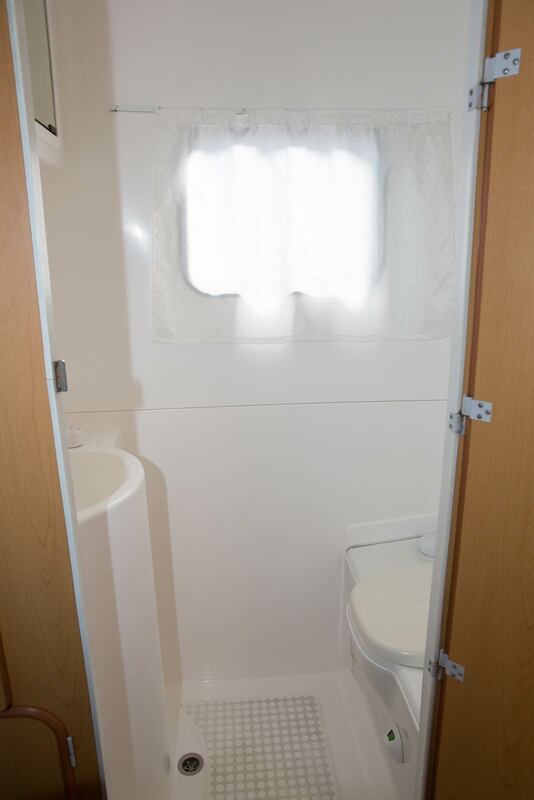 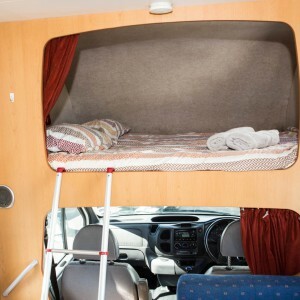 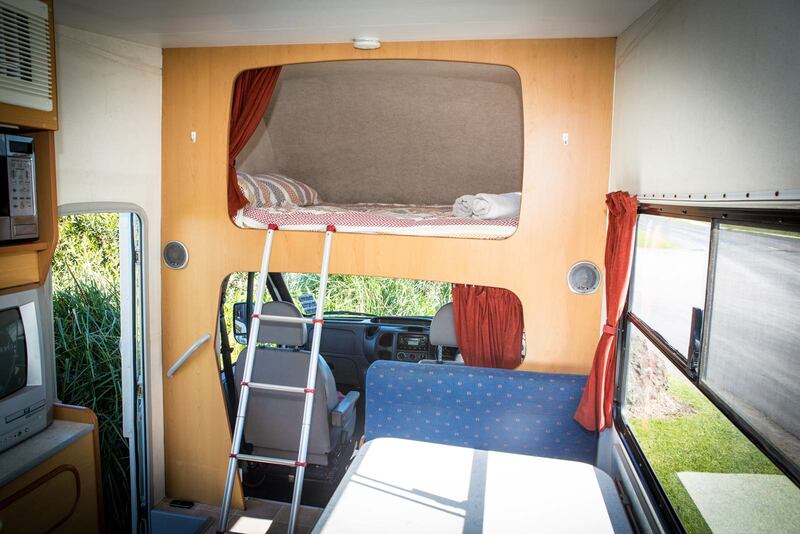 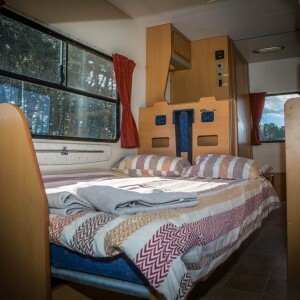 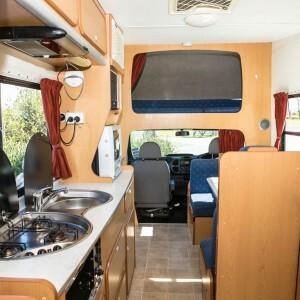 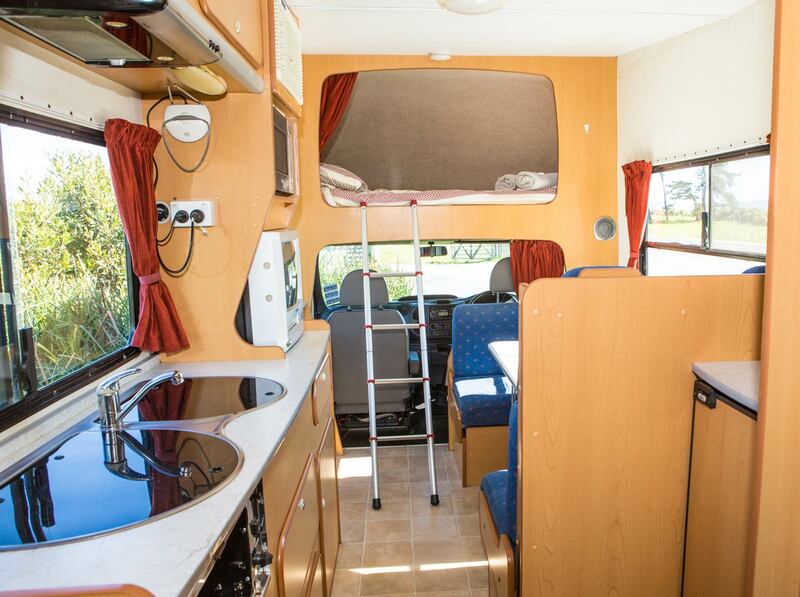 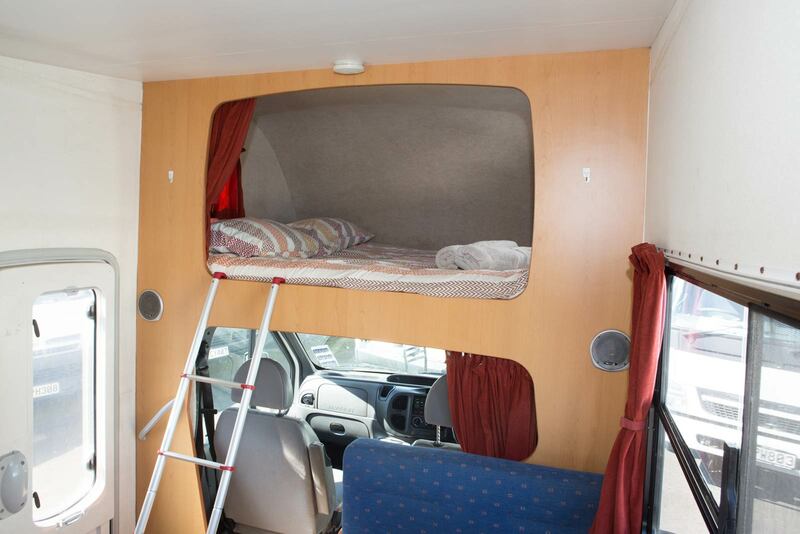 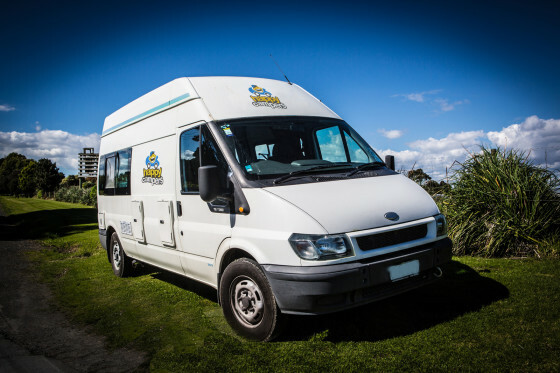 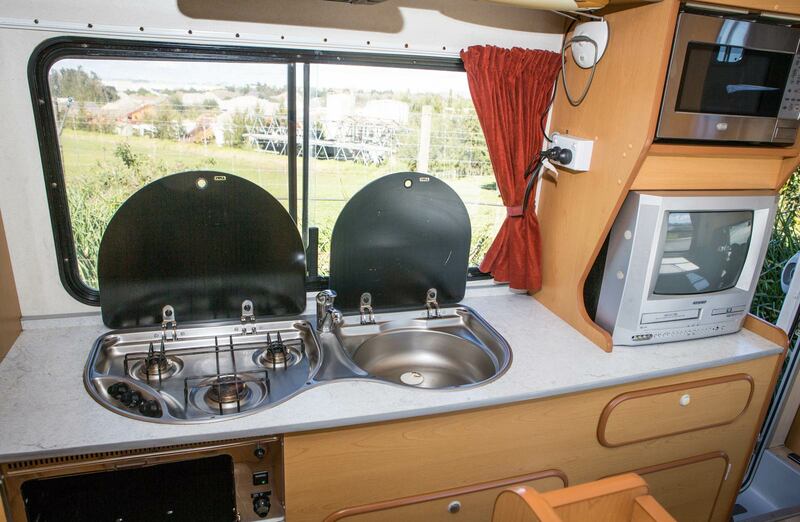 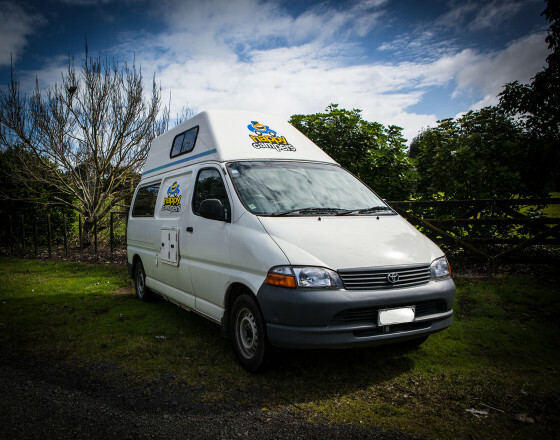 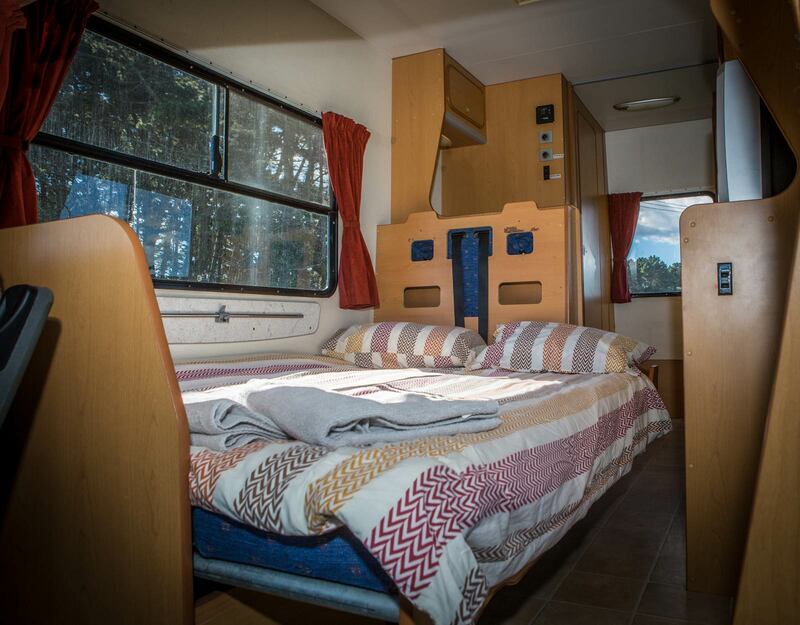 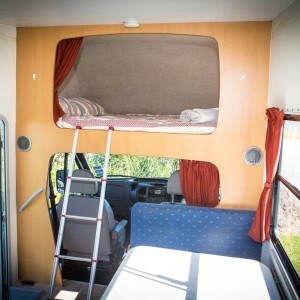 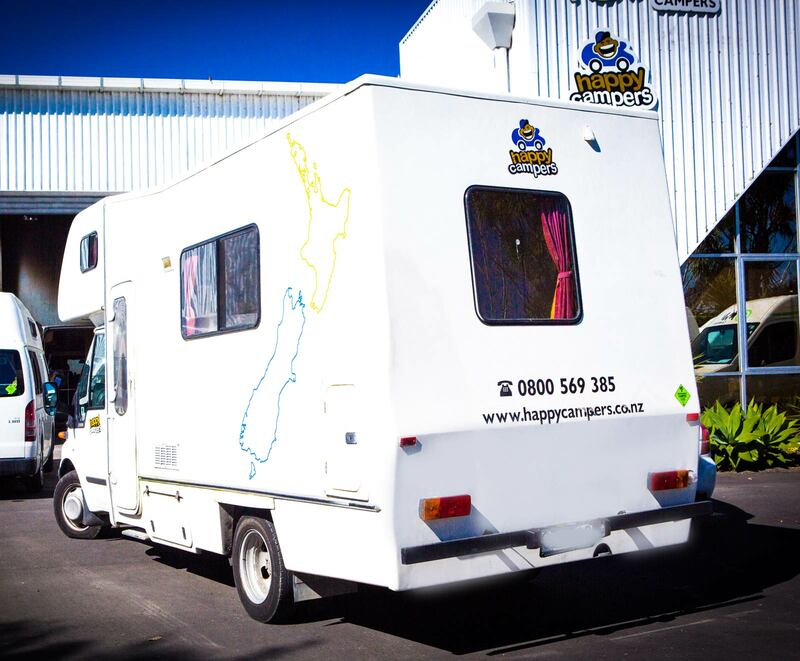 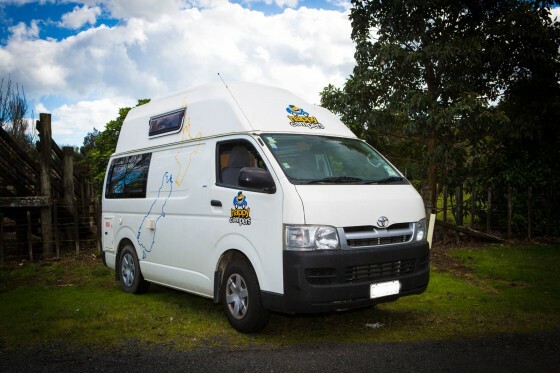 This Ford Transit 4 Berth Camper with toilet and shower is a top of the range vehicle that comes with everything you need to travel across New Zealand in complete luxury. 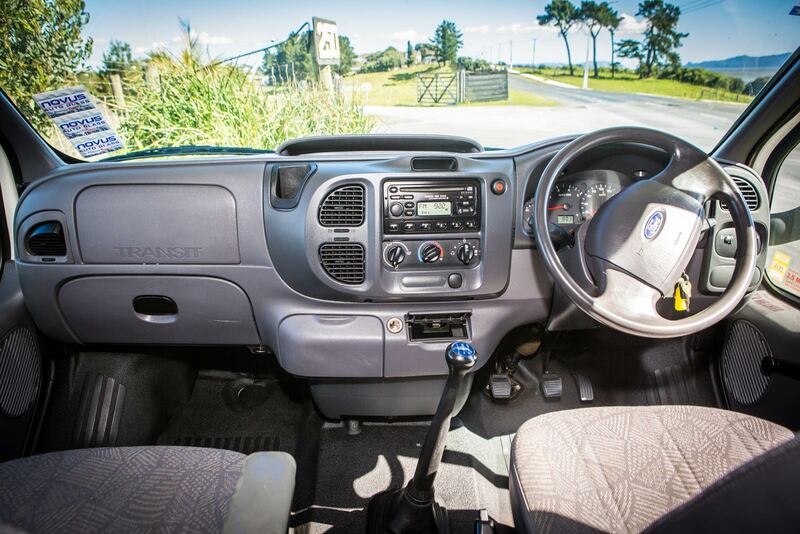 It’s extremely spacious, luxurious, and easy to drive. 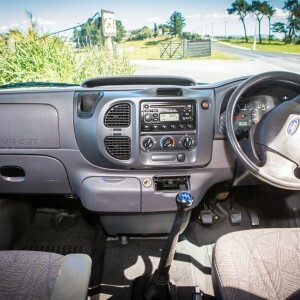 It has a powerful diesel engine which is also very economical. 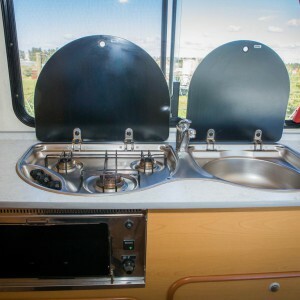 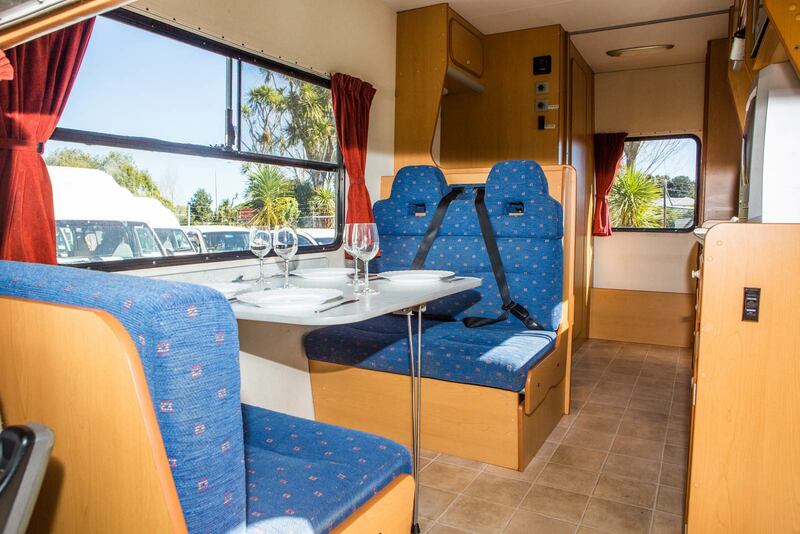 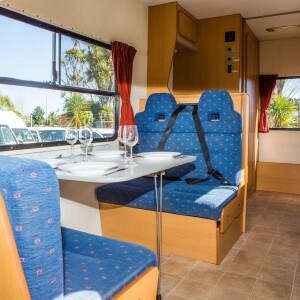 You can travel in style, sleep in comfort, and cook with ease. 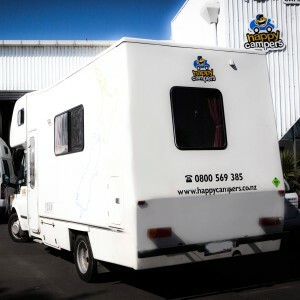 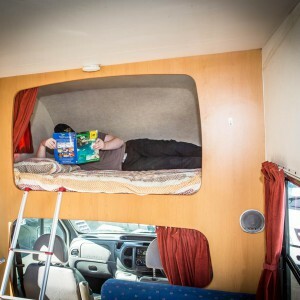 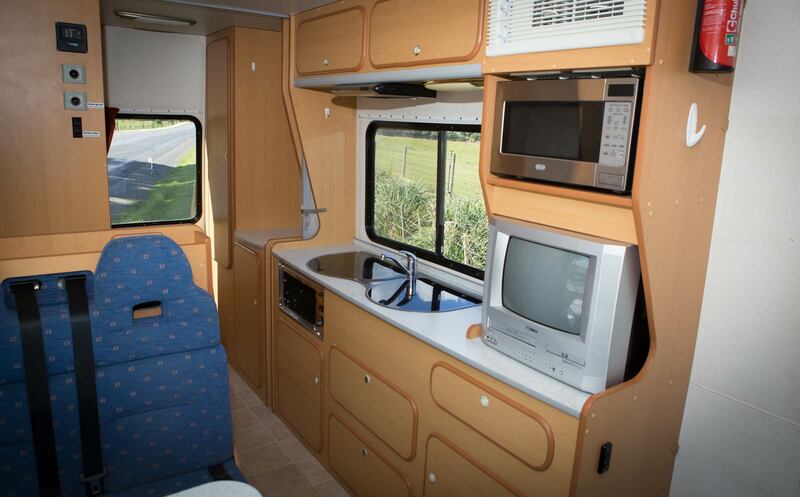 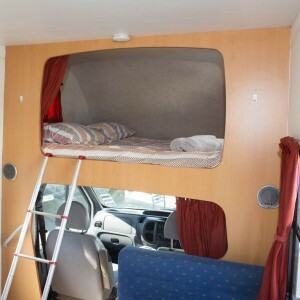 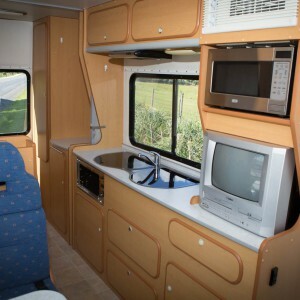 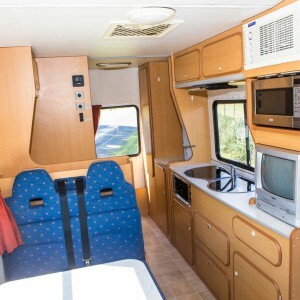 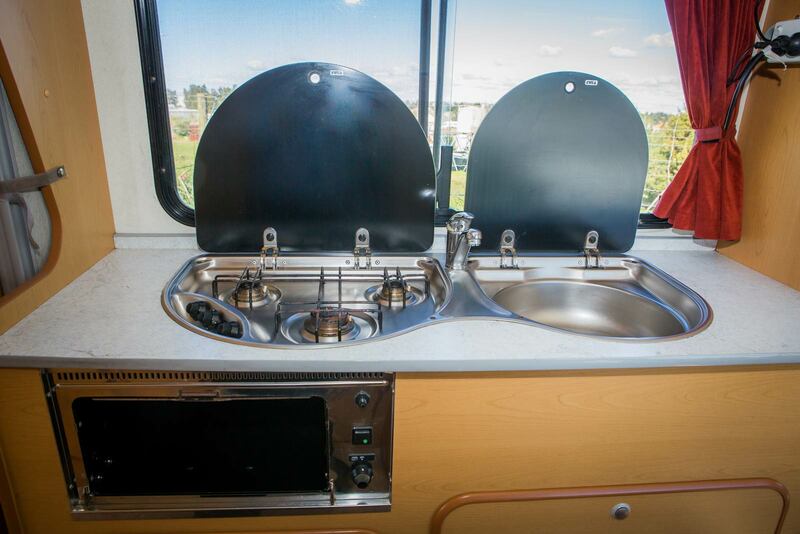 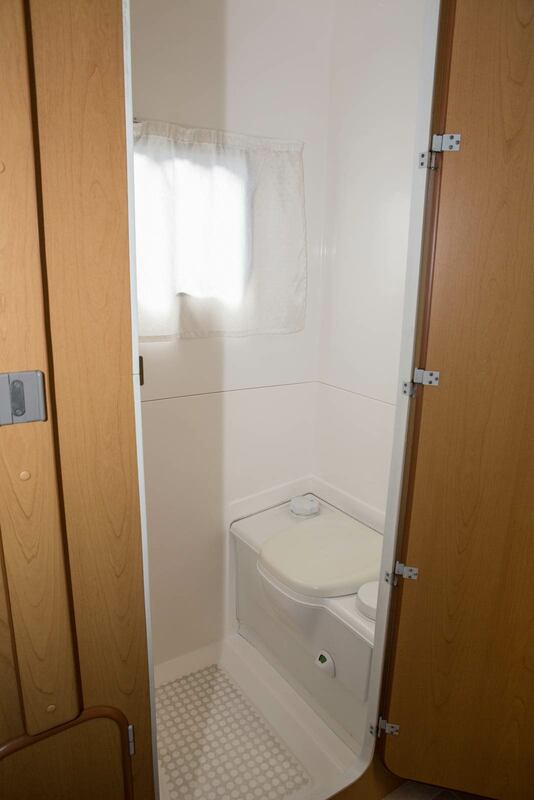 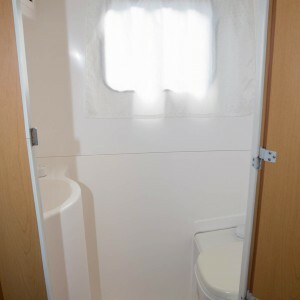 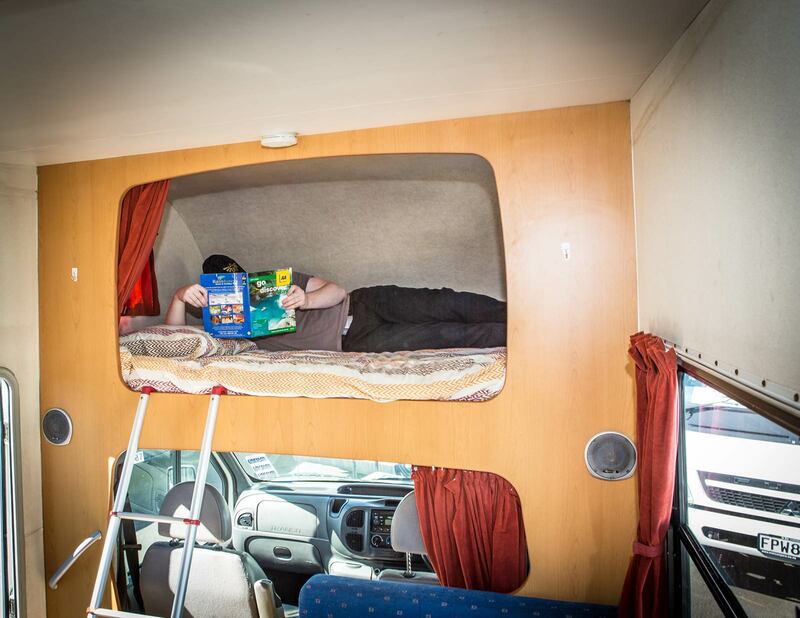 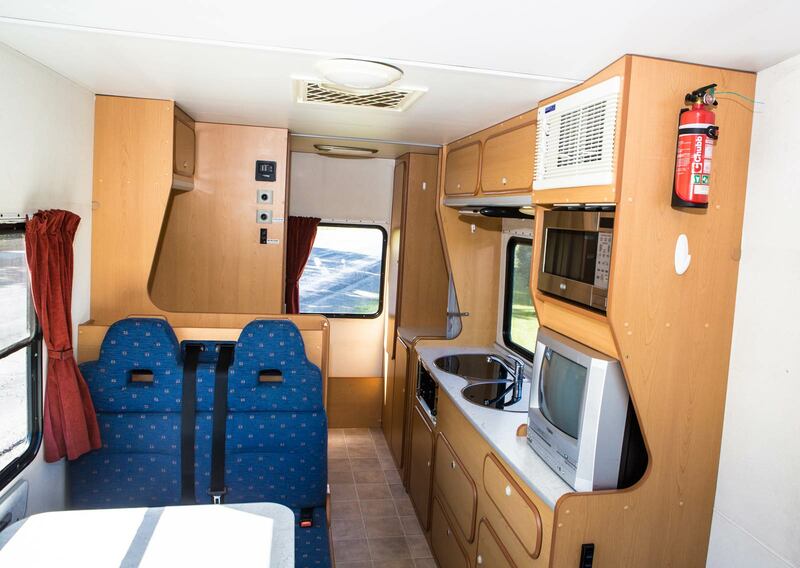 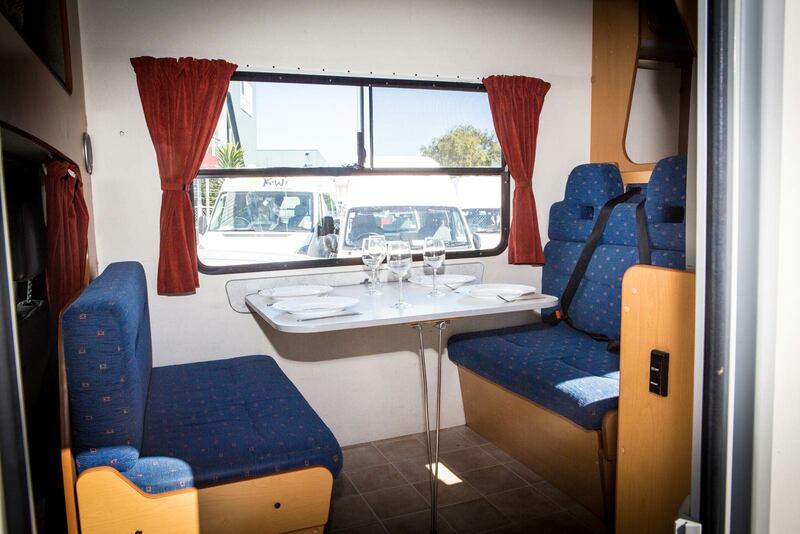 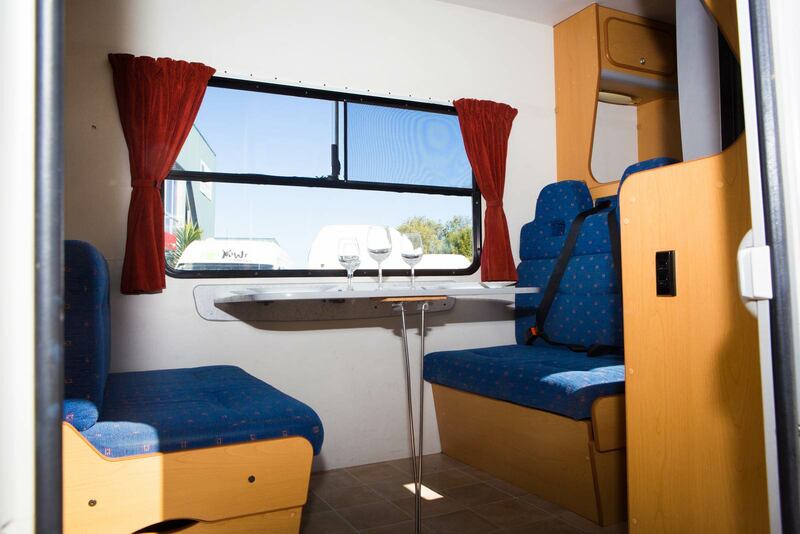 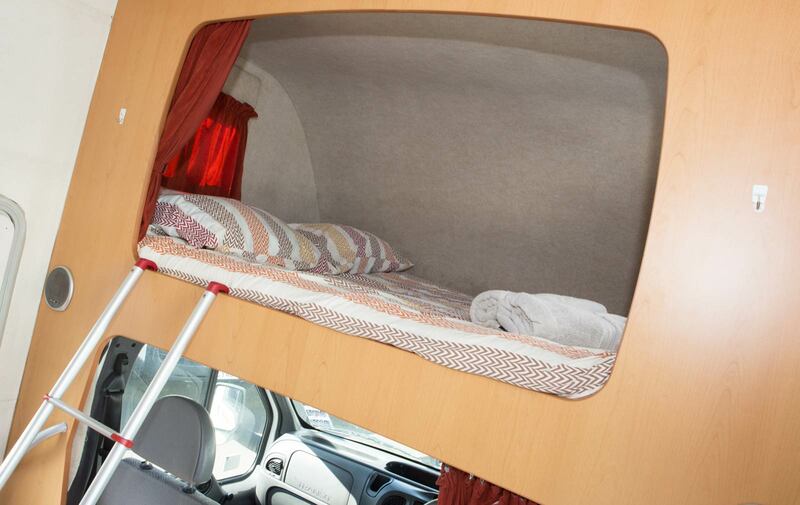 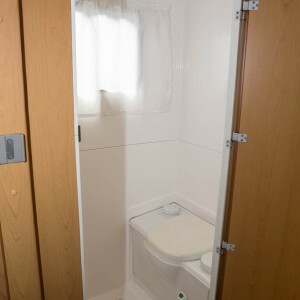 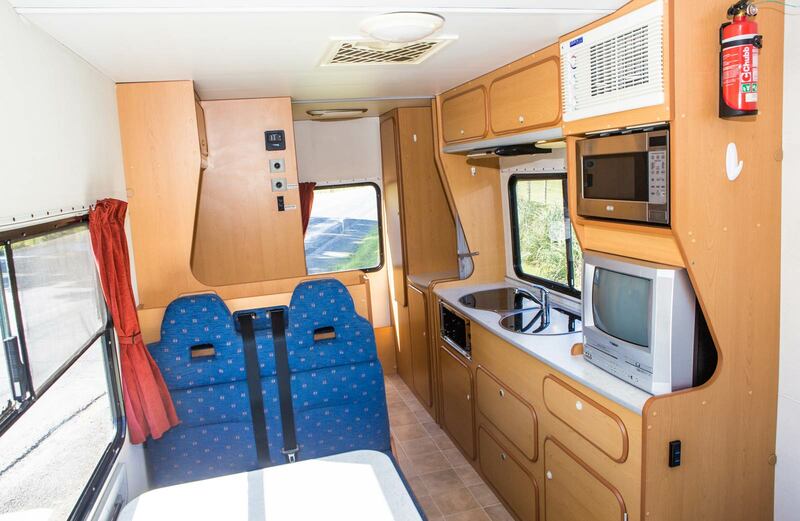 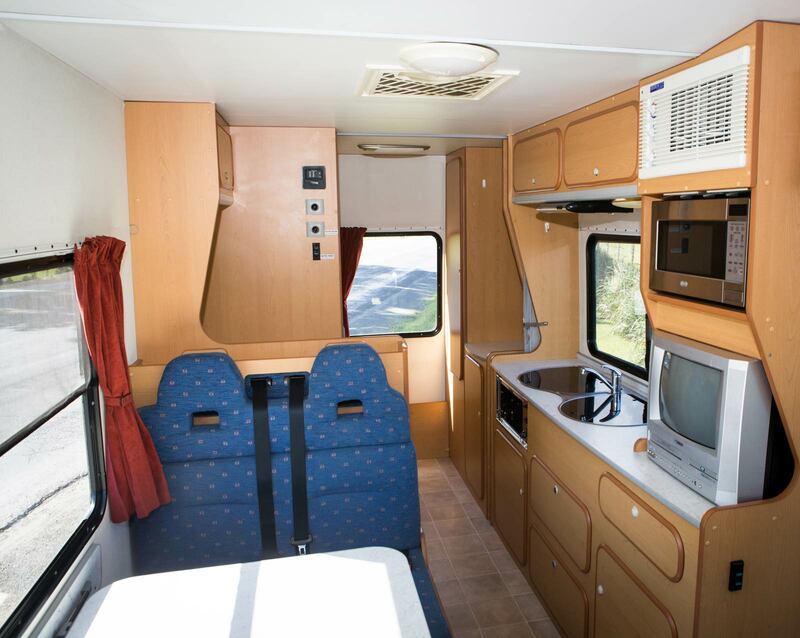 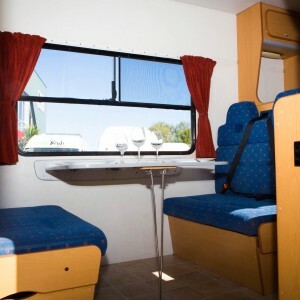 This camper is ideal for a couple or friends who want everything in one self contained unit. 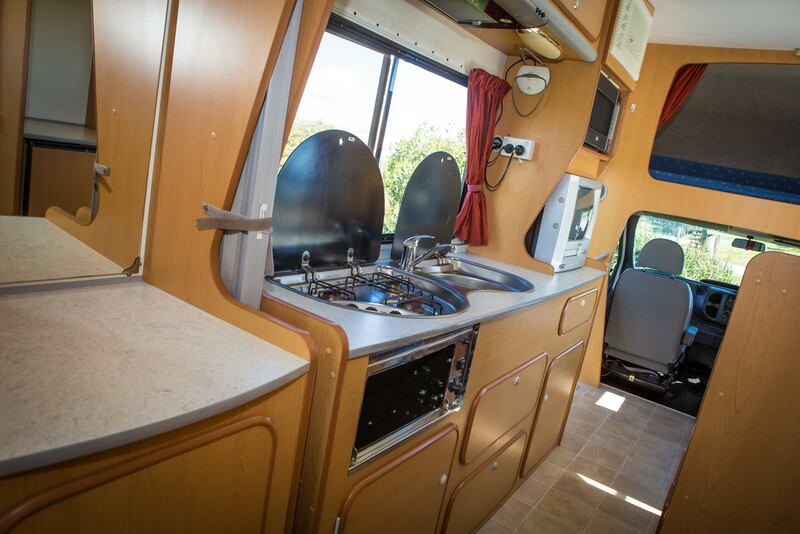 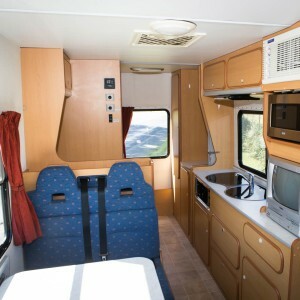 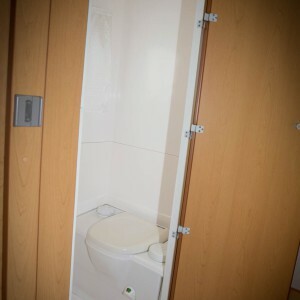 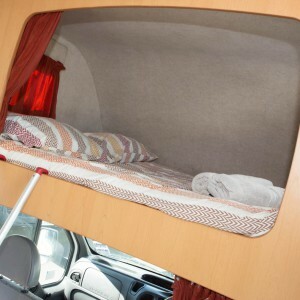 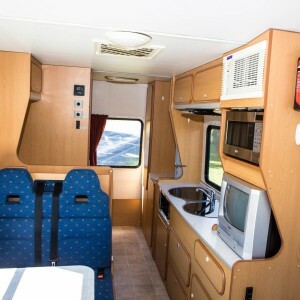 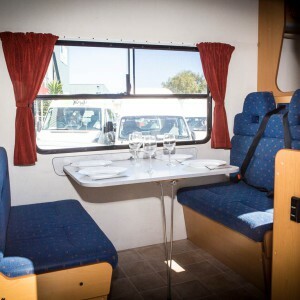 The camper has a kitchen, foldaway table, extra large bed, shower and toilet, gas stove, heating, microwave and a fridge. 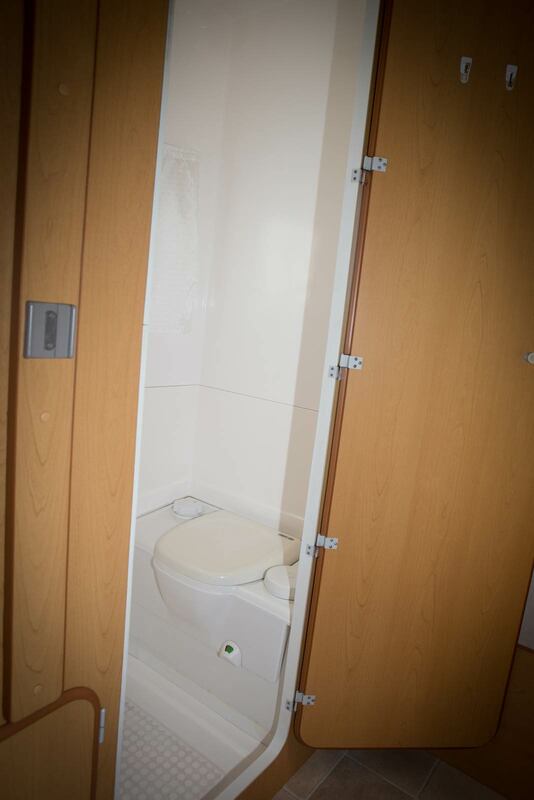 See below for more specifications. 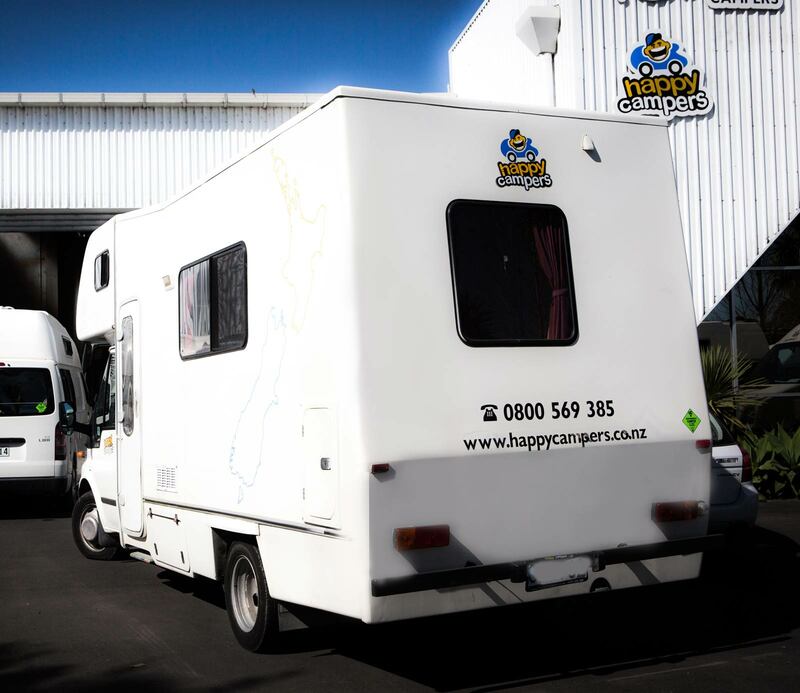 The Happy 4 is now Certified Fully Self Contained to NZ Standard 5465:2001 which means you can stay in even more areas of our beautiful country.